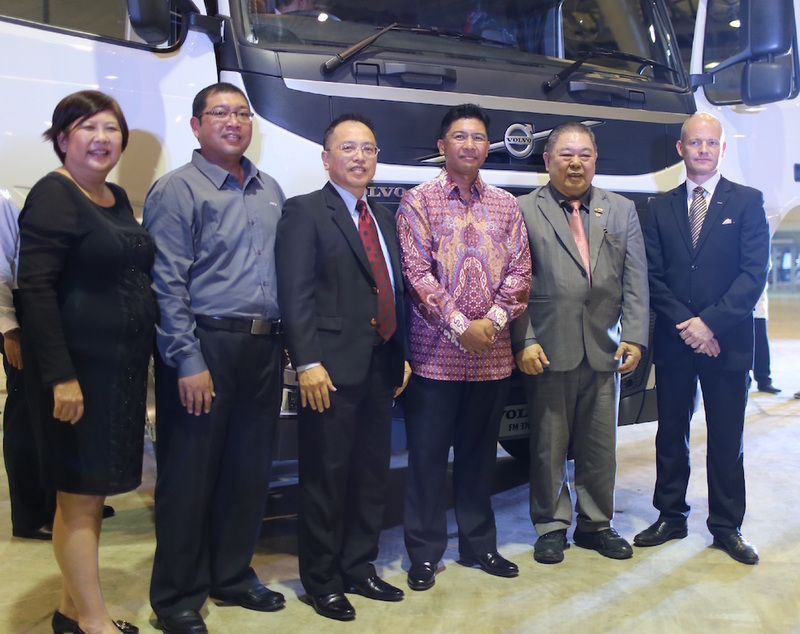 The Volvo Group has just announced its partnership with Boustead Sdn Bhd, as its authorised distributor of Volvo Trucks and UD Trucks in Brunei. The new dealership is now open for business and ready to serve customers here. This is the latest phase of the Volvo Group’s expansion plan -in this hub- undertaken since 2013 as part of the implementation of its Network Strategy Plan that was aimed at raising the bar in retail excellence. Volvo aims to establish dealer coverage by reducing the average travel distance between each of its dealer points to within 3 hours, while providing better facilities to improve productivity, service quality and customer satisfaction. 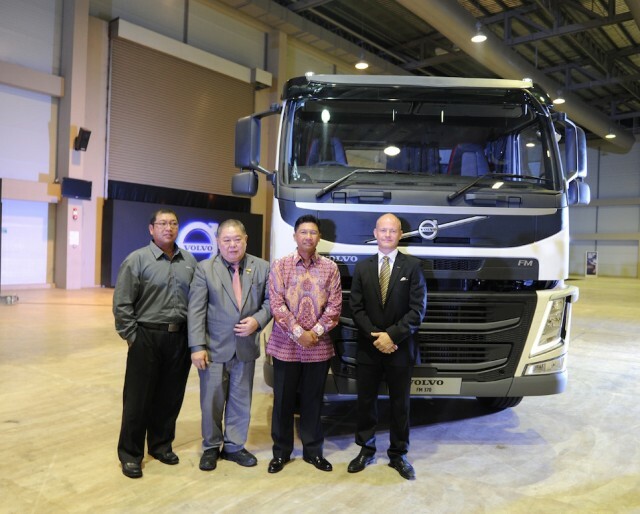 “Together with Boustead’s strong reputation in Brunei and Volvo’s well founded global presence, we look forward to establishing a strong and long lasting partnership to offer products and services that are able to serve a wide range of applications and needs in this growing market,” added Nilsson. 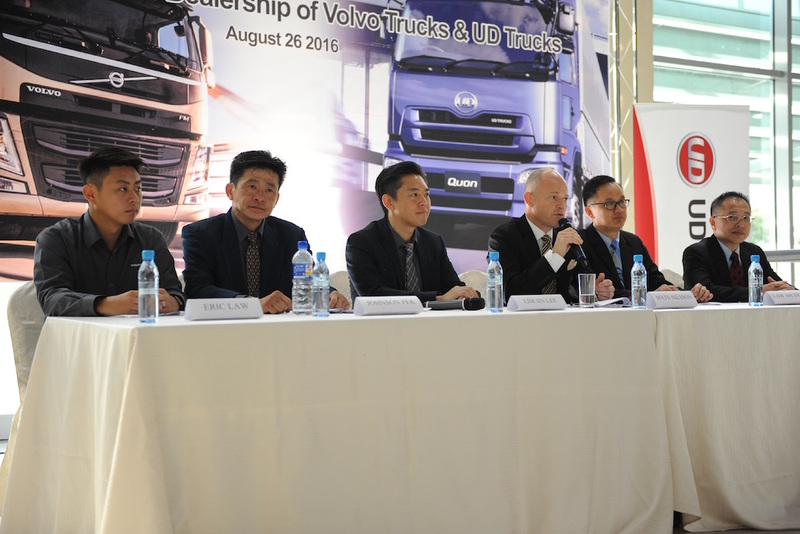 The new dealership will also serve as the service centre for both Volvo Trucks and UD Trucks. This state-of-the-art dealership’s design and service area is strategically located for the ease of transporters from Muara port, the main port of arrival in Brunei. The commercial facility area is about 25,000 sq feet, which includes facilities such as a parts warehouse with cargo lift, workshop bays for 4 trucks, special tools and engine repair room, a training facility area and also a service reception area for customers. Volvo Trucks supplies complete transportation solutions to customers in the heavy duty trucks segment. The company’s best-selling trucks include the Volvo FM and Volvo FMX in new range and specifications launched in 2014. The new truck range is equipped with Dynafleet, Volvo Trucks’ proprietary web-based tool and system that streamlines the planning and execution of fleet management for improved profitability. 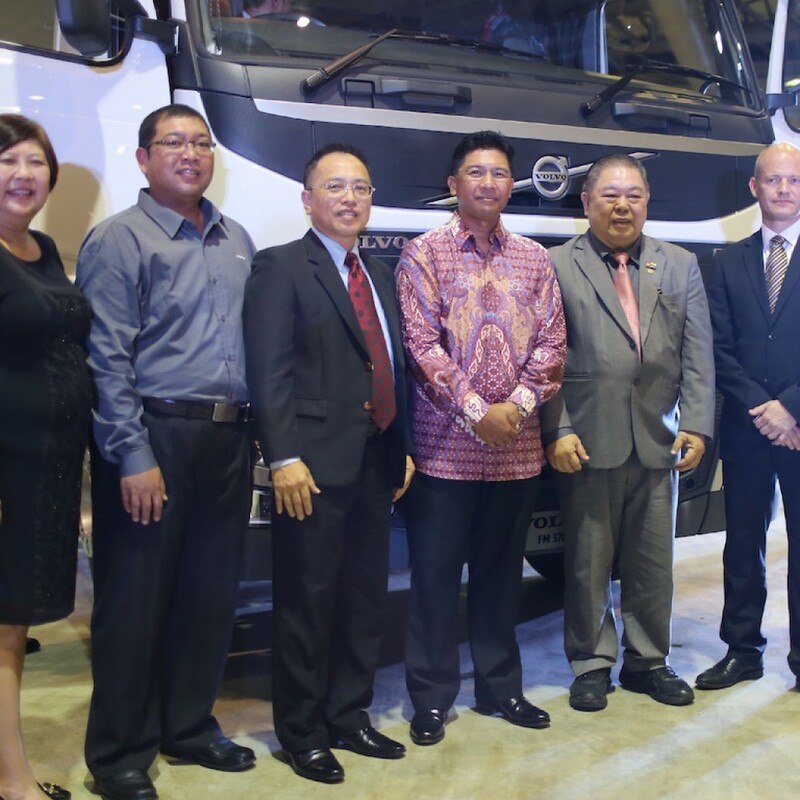 Volvo Trucks in Malaysia has logged an unprecedented achievement of 39% market share (333 trucks sold) in 2015 under the European HD category. This continues the robust trend seen throughout recent years. 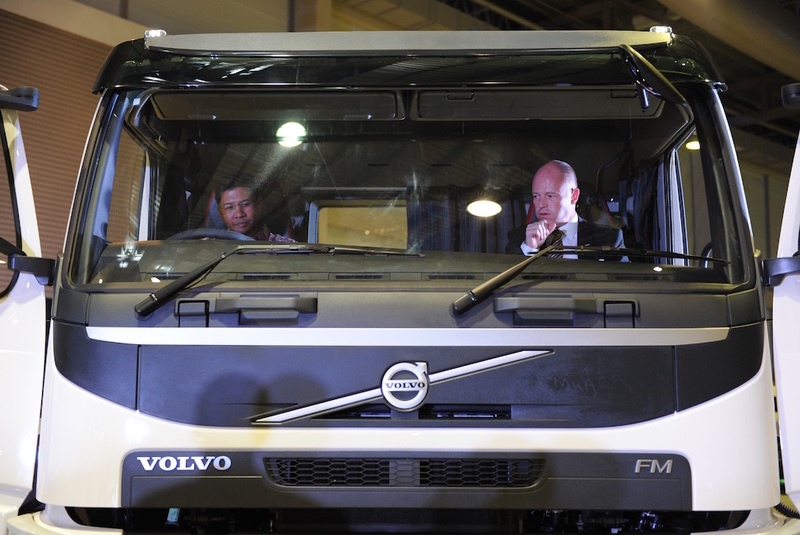 This growth figure has further boosted Volvo Trucks competitiveness gains, driving upwards its market share in the heavy duty commercial vehicle segment in Malaysia. UD Trucks specializes in fuel efficiency and uptime. It sells and serves light, medium and heavy duty trucks as well as special vehicles. 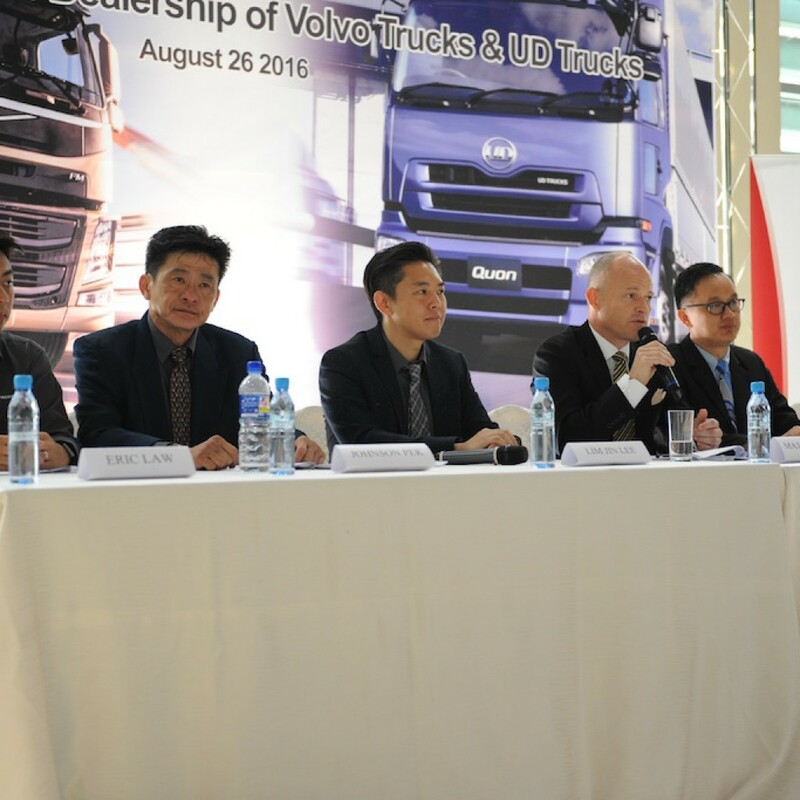 UD Trucks was established in Japan in 1935, was previously known as Nissan Diesel and became part of the Volvo Group in 2007. With its headquarters located in Ageo, Japan, UD Trucks supports sales and services in more than 60 countries through a worldwide network. Driven by its mission to provide the Ultimate Dependability in all of its products, UD Trucks is committed to going the extra mile in everything they do by offering cutting-edge technologies and purposeful aftermarket service and support to meet their customers’ most demanding needs. Japanese craftsmanship is evident in UD Trucks heritage, values and hands-on field approach of its Gemba spirit to create reliable, durable, fuel-efficient, and modern-looking trucks. In conjunction with the opening of the new dealership, Boustead is offering an FREE on-board diagnosis worth BND$160 for three months in conjunction with the launch event on 26th August 2016. 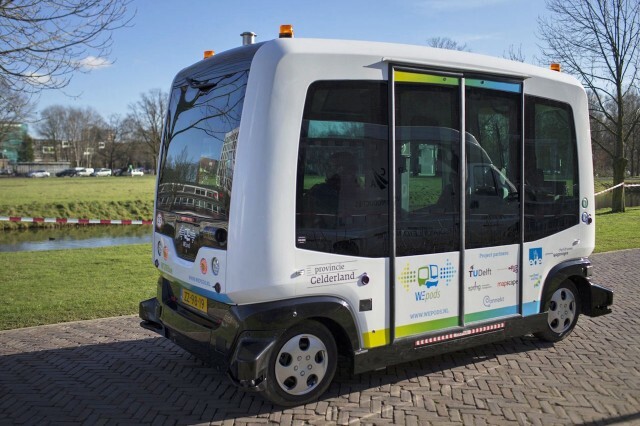 Since mid-August, the French made Easymile EZ-10 driverless mini bus has been tested in an open road section in Helsinki. Automated buses have been tested elsewhere in the world, but operation as part of regular street traffic has been rare. In the past week, the project has attracted some 500 viewers and passengers. In the testing, the type of bus was found to be “scary” of real street environment such as irregularly parked cars, overtaking vehicles and nearby passengers. The organizers of the project Nordic Way have highlighted the open street environment of the tests. But the streets have to be predictable for the bus to venture to the road. If the bus’ sensors find anything unusual, they behave like an inexperienced driver and first slow down and then stop. The make-shift bus stop also had a sign prohibiting “standing at the stop when the bus leaves”. The bus cannot move if it detects something near the bus. 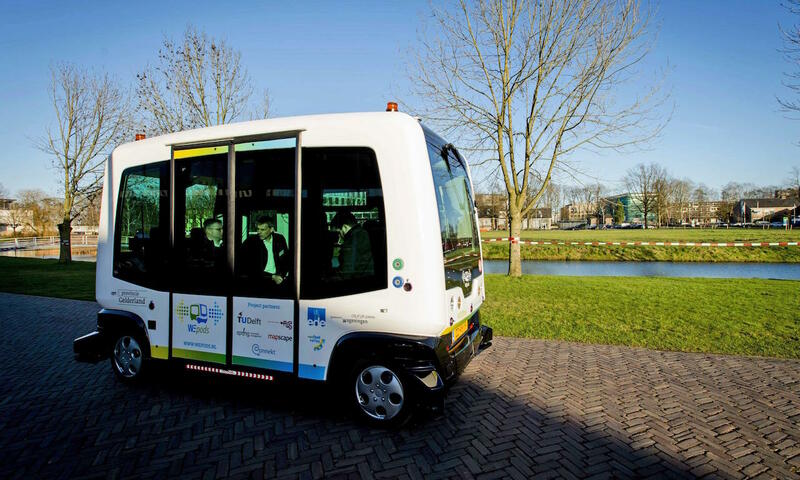 While automated buses have been used in closed paths in several cities in the world, operation as part of regular street traffic has been rare. The project manager Harri Santamala told Xinhua the unique aspect in the Finnish test is that automated buses are moving on a regular street. Matti Mustajarvi from Nokia’s Innovation Steering unit told local media last week that the company aims at securing a functioning communication network to serve such an automated car. He said that it was too early to predict what the development leads to, but probably “totally new products” will be developed. 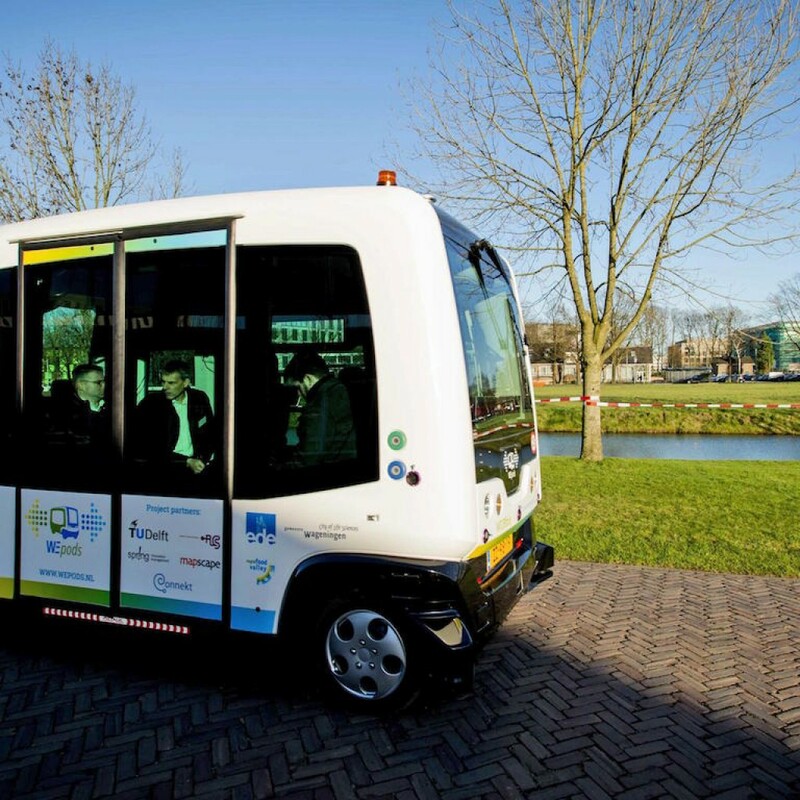 Santamala took distance from the idea that automated buses could replace public transit soon. “But they could serve in the feeder systems to transit”, he said. The test buses will leave Helsinki in September and appear in Espoo and Tampere, another two major cities of Finland. Over the winter, the electric vehicles will face inclement winter street conditions. 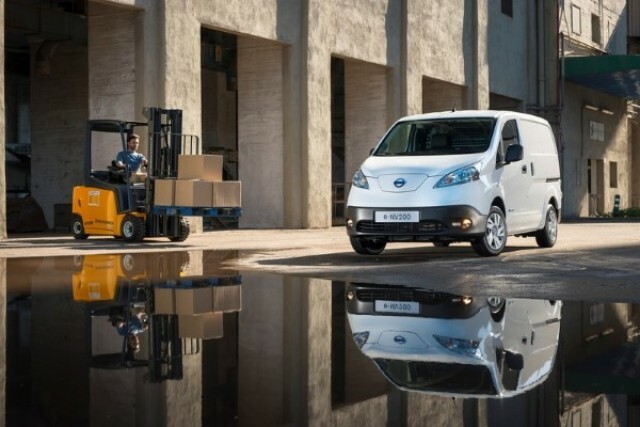 The 100 percent electric Nissan e-NV200 has been awarded the German Commercial Vehicle Award for 2016 in the special category of Electrically Driven Urban Delivery Vehicle. The compact van which combines an all-electric powertrain with a large cargo capacity is the first vehicle ever to be awarded the accolade, which recognises excellence in the electric commercial vehicles category. The prestigious prize will be awarded on 23 September 2016 at the IAA Commercial Vehicles show in Hannover, Germany and is the 16th award of its kind for the van. The German Commercial Vehicle Awards are governed by German trade publicationsHandwerk-Magazin and the Deutschen Handwerks Zeitung, and considered an important indicator of quality within the sector. Voted for by tradespeople – the true experts in durability and practicality – every vehicle undergoes detailed testing over a two-day period. A total of 15 business proprietors and master craftspeople from different trades took part in this year’s testing which, in addition to testing standard diesel driven vans, featured electric vans for the first time. “It’s great to see our all-electric LCV being well-regarded by both the industry and tradespeople alike. The Nissan e-NV200 boasts a cargo compartment in excess of 4.2m3 and a maximum payload of 770kg – the highest in its class – comfortably accommodating two Euro pallets. Loading and unloading is made easy via sliding doors on the vehicle’s sides and wide opening rear doors. Equipped with an electric motor that has been derived from that of the Nissan LEAF, with batteries that can be recharged to 0-80 percent in less than 30 minutes, businesses can also benefit from a near silent, emission-free powertrain. Available in both commercial Combi trim level or the fully trimmed Evalia passenger version, the Nissan e-NV200 has exceptionally low running costs; with fuel costs starting from as little as €0.03 per km and 40 percent lower servicing costs when compared with an equivalent diesel vehicle. 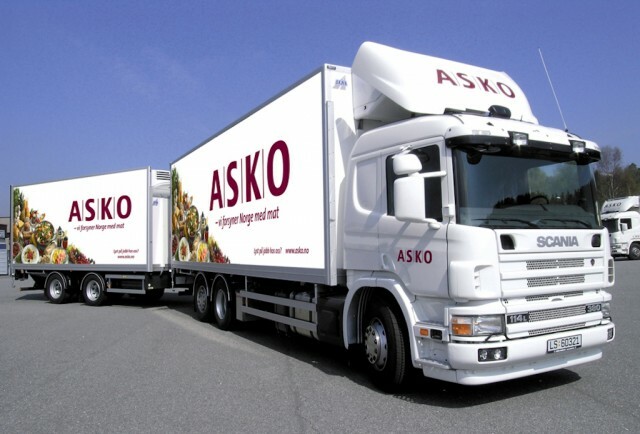 Asko, Norway’s largest convenience goods wholesaler, is continuing its investment in sustainable transport services. Together with Scania, the company will start testing trucks with an electric powertrain. Electrical energy is converted from hydrogen gas in fuel cells on board the vehicles. The hydrogen gas will be produced locally, using solar cells. 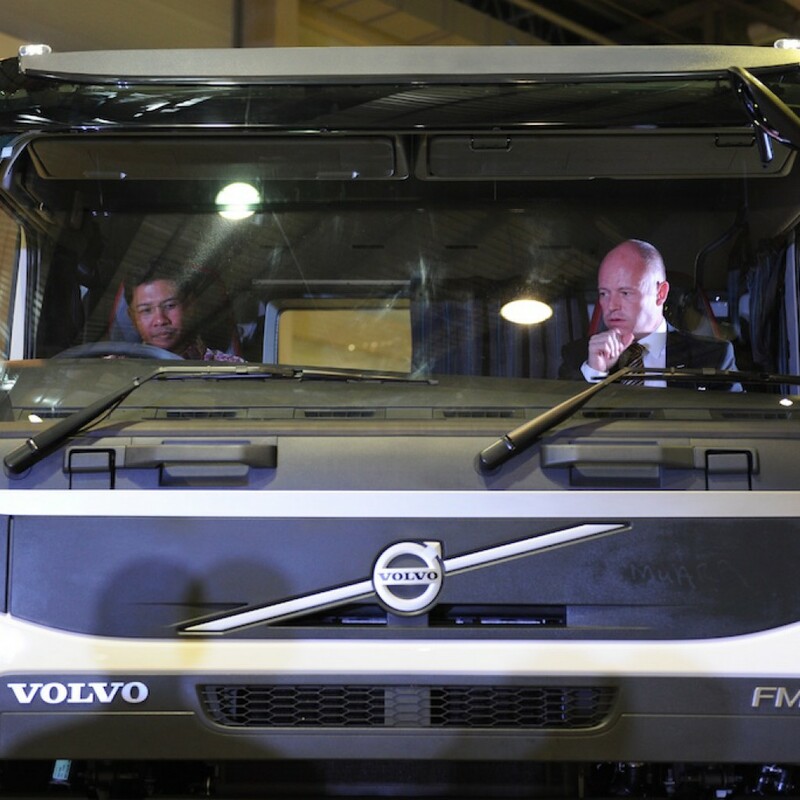 The trucks will run in distribution service with distances of almost 500 km. “This very interesting project represents a unique opportunity to test the fuel cell technology for conversion of energy to our electric powertrains in a challenging customer operating environment. The conversion of hydrogen gas to electrical energy on board trucks, which are operated for longer distances will thus provide value experience for Scania’s continued development of electrified powertrains,” says Nils-Gunnar Vågstedt, who is responsible for the development of Scania’s hybridization and electrified vehicles. This year’s International Bus Competition (IBC) in Europe saw three double-decker buses put through their paces by the jury. 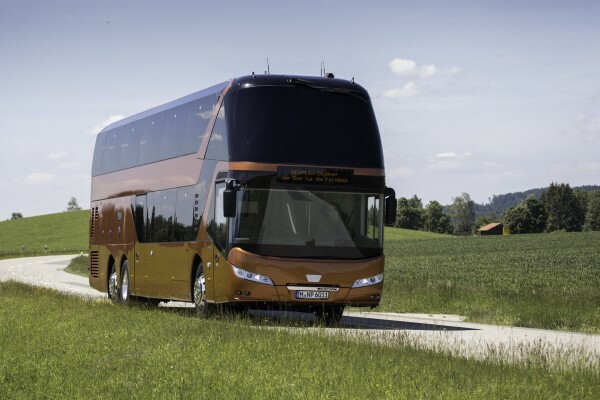 At the end of an intensive week of testing, MAN’s Neoplan Skyliner managed to score the highest number of points and defeated the VDL Futura and the Van Hool Astromega. 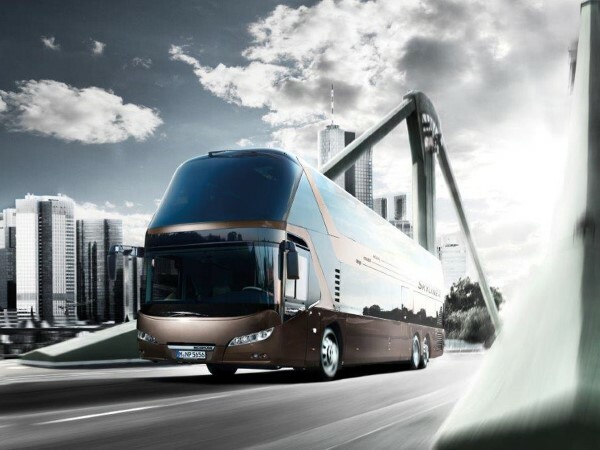 The NEOPLAN Skyliner, equipped according to test regulations with a long-distance package including wheelchair space, extra wide doors and destination display, achieved the best performance figures in the categories for suspension, passenger comfort and the repair shop test. The top level of the double-decker bus is particularly impressive: the side windows (skylights), which extend all the way up to the roof, provide an amazing view from the window seats, while the roof itself is made of five glass panes and thus allows for an almost continuous line of light to fall onto the middle aisle and create a wonderfully spacious ambience. Aesthetics aside, safety is also a key feature of this vehicle. The jury were impressed by the braking distances measured during the tests, which ranged between 39.8 and 39.1 metres respectively with cold and hot brakes from a speed of 80 km/h, as well the steering precision and vehicle balance. The latter is assisted by the electronically controlled shock absorber MAN CDS (Comfort Drive Suspension) among other things. 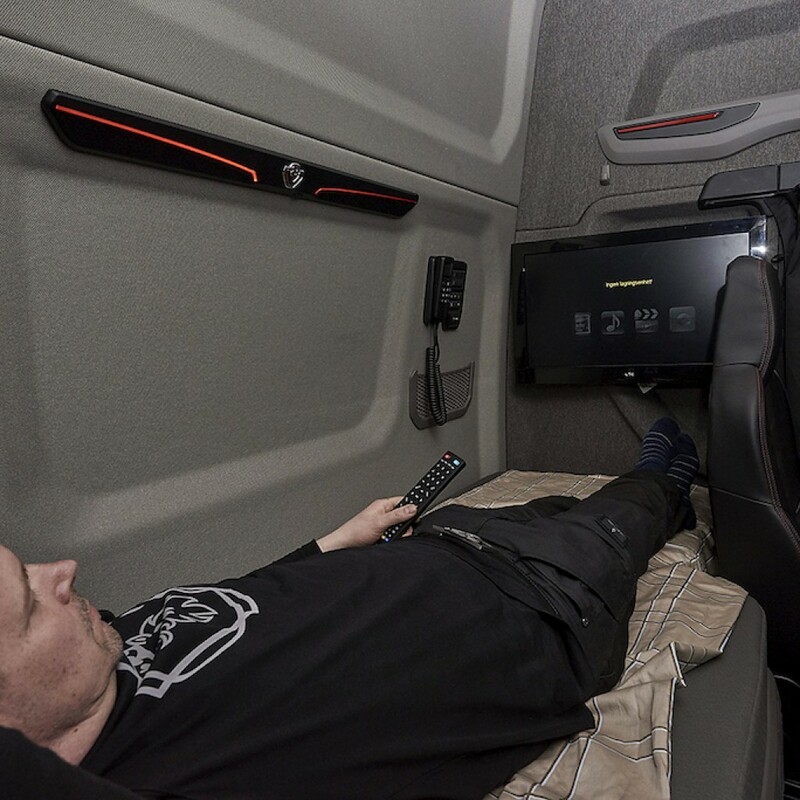 Another assistance system built into the test bus is the MAN Efficient Cruise predictive cruise control function and the MAN Attention Guard alertness assistant. Since June 2015, the NEOPLAN Skyliner has been available in the Euro 6 variant. The premium double-decker impresses with its optimum combination of efficiency, environmental performance and exclusive comfort. Its prizewinning ‘Sharp Cut Design’ with clear, consistent lines guarantees top aerodynamic performance. Fuel savings of up to five percent can be achieved in comparison to double-deckers without aerodynamically-optimised designs. The luggage compartment of the NEOPLAN Skyliner also sets the bar high, with best-in-class performance figures: measuring up to 11 m3, it offers adequate space for cases and bags. The generously designed interior delivers maximum freedom of movement inside the double-decker. And, with up to 83 seats, the bus is perfect for long-distance travel. Its long-distance package, including destination display and 230 V plug sockets and/or USB ports for every seat, as well as its latest driver’s seat featuring optimal positioning, ensure an increased level of comfort for both passengers and driver. Entertainment on both short and long journeys is provided by the Onboard Entertainment system. Next to the option of an integrated Wi-Fi system, the TopLine Multimedia Centre with two 19-inch TFT monitors on the upper deck and 10-inch flat screen monitors on the lower level is also included. 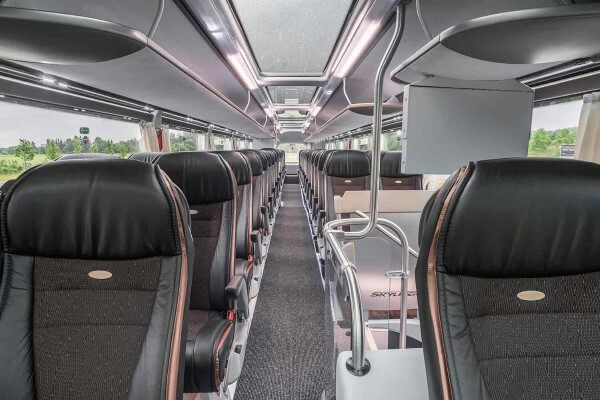 A particular challenge when it comes to long-distance buses is accessibility, but the NEOPLAN Skyliner solves this problem comfortably and conveniently for bus companies, drivers and passengers. Passengers with restricted mobility can access the bus via a folding ramp. To create the necessary space inside the vehicle, MAN has developed an extremely convenient solution for bus operators, whereby up to three double seats can be pushed together using a sliding system. This saves the bus company having to completely remove seats if extra room is required. Instead, the seats remain inside the vehicle so that they can be made accessible again in a matter of minutes – not just in the depot but also on the road. Scania has a strong tradition of putting the driver first in its development work. Naturally, this is reflected in the interior of the new truck generations. “Our driver focus has manifested itself and been demonstrated in earlier models,” says Mårten Bergström, Senior Industrial Designer with Scania’s Design division. 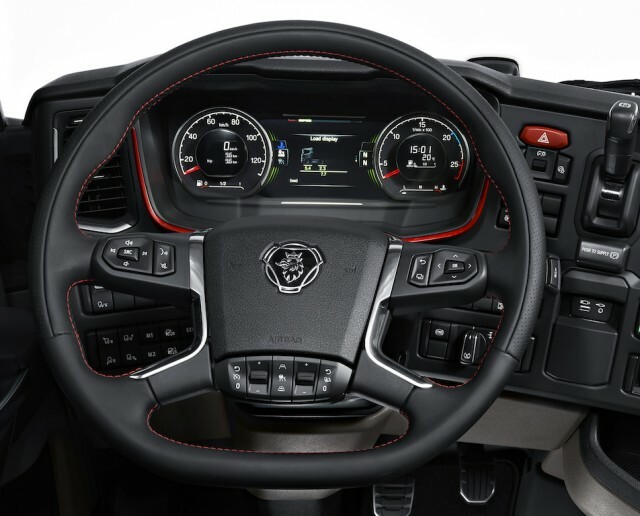 “We were the first in the marketplace with an asymmetrical, driver-oriented dashboard. We have now taken this a step further by connecting and integrating a ’wing theme’ to the top of the dashboard. Using the wing theme, Scania’s designers have been able to visually disconnect the driver’s seat from the passenger side while creating a character-filled design element. The focus on the needs of the driver has been further strengthened through a whole new level of detail and cohesive design. Enhanced safety, visibility and interior space thanks to that the driver’s starting position has been moved 65 mm closer to the windscreen and 20 mm out towards the side. More space behind the seats for ­wider beds. The fixed main bed is now 800 mm, with three mattress options: foam, bonnell and pocket springs to suit all preferences. The extendable bed is up to 1,000 mm, the widest on the market. The improved upper bed is 600 mm (normal roof) and 700 mm (high roof) with bonnell springs. With a high roof, 800 mm with pocket springs is optional. Extended storage options, with a particular focus on volume and accessibility. A wide range of flexible options for storage boxes, shelves, hooks and nets can be added depending on cab type, choice of bed and other specific needs. 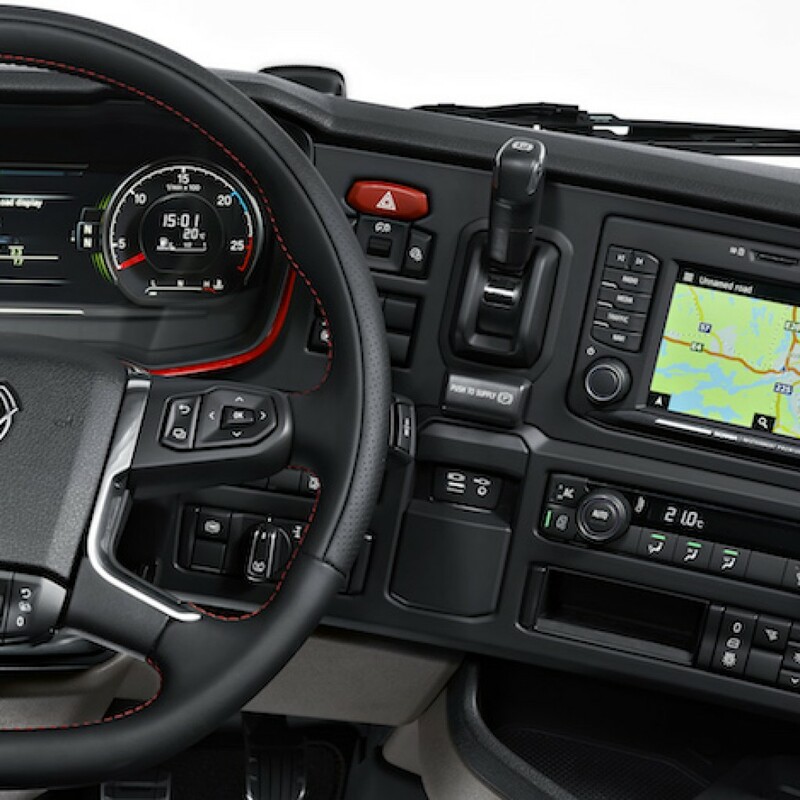 The dashboard is modular, ­making it simple to customise ­according to the customer’s needs, with regard to ­ergonomic design, buttons, controls and storage. 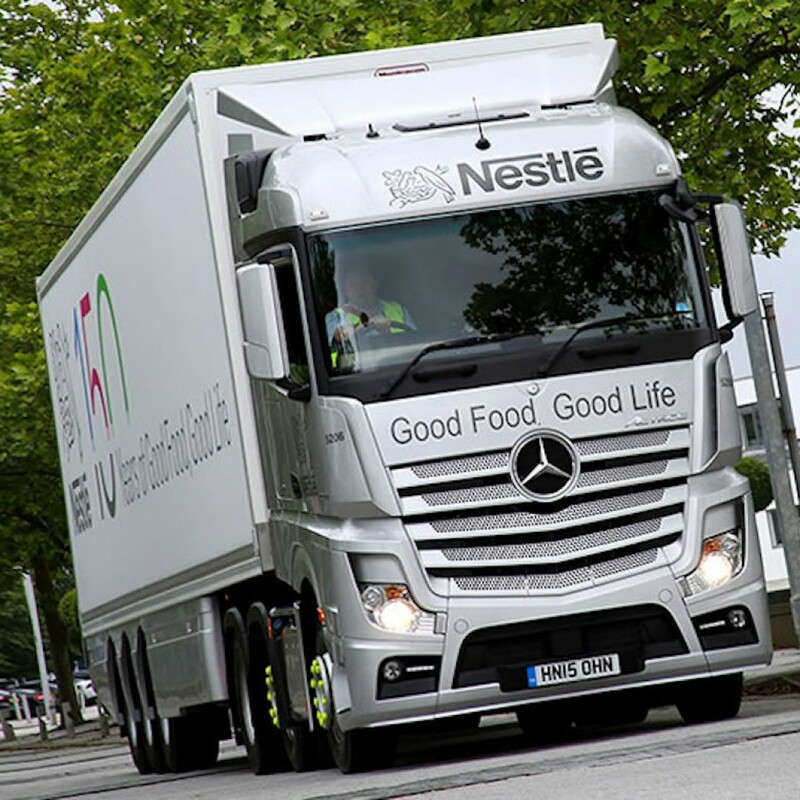 Nestlé, the world’s largest food and beverage company has commissioned four more Actros with new, second-generation engines. It has also ordered no fewer than 70 new 13.6m Montracon box semi-trailers with matching silver side skirts, the first of which have entered service – one of these trailers wears special graphics, highlighting the company’s 150th anniversary. 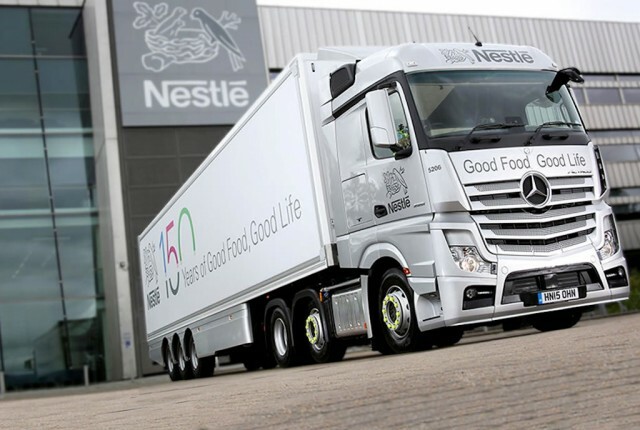 Nestlé’s first Mercedes-Benz tractor units have been on the road for more than a year. All are 375 kW (510 hp) Actros 2551 StreamSpace models and based at the operator’s production facility in York. As Fleet Manager Mick Thompson confirmed, they have been a success since day one. 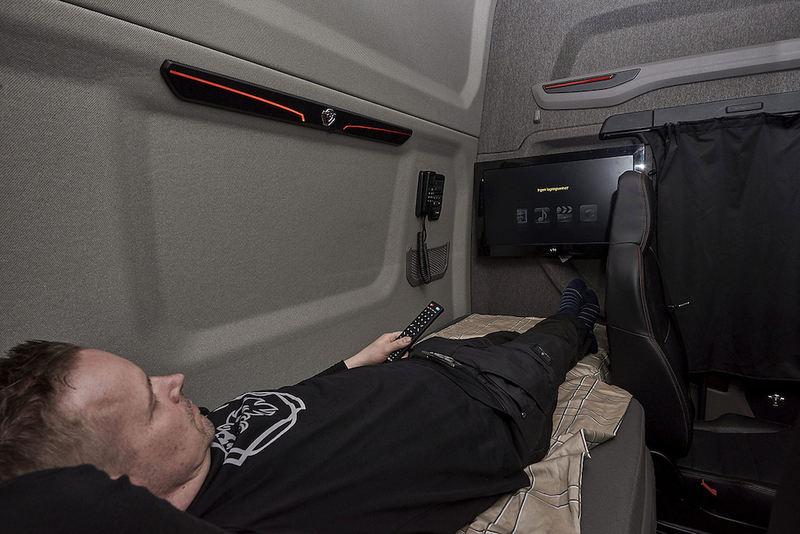 “Our drivers sleep in their vehicles and really appreciate the comfort of the beds and all-round quality of their flat-floored Actros cabs, while a lot of people have commented on how stunning these vehicles look,” he enthused. 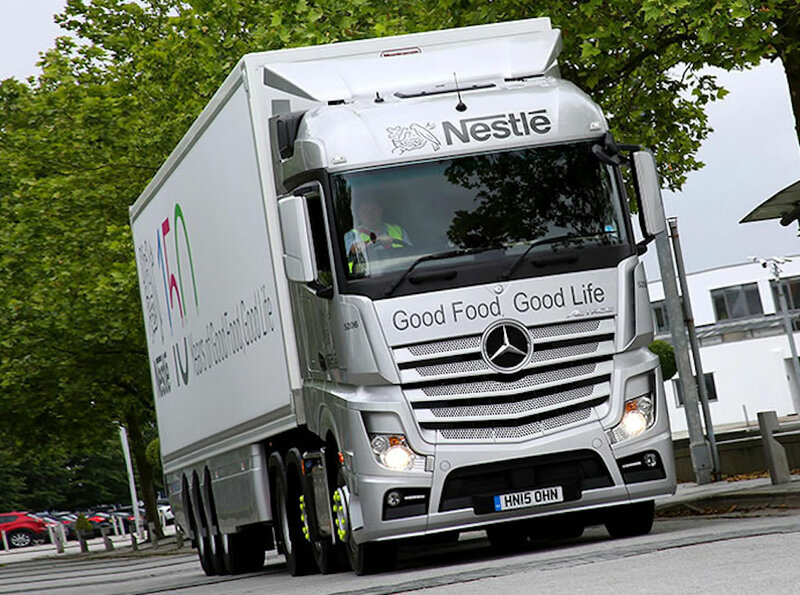 All of Nestlé’s Actros are equipped with Predictive Powertrain Control systems, which boost economy while also reducing wear and tear on the driveline by employing engine braking at every opportunity, and helping to make shifts at the wheel less stressful for drivers. The latest vehicles are 2551 versions with aerodynamic StreamSpace cabs too, but their 12.8-litre, six-cylinder OM471 engines are from the recently revamped range which, thanks to a raft of improvements including updated turbochargers and revised injection systems, offer average fuel savings compared to their already-frugal predecessors of around 3%. After 10 years of development, Scania has finally introduced its new truck range earlier this week. With the new range, Scania is extending its offering and can now, thanks to its unique modular system, supply more performance stages, connectivity and a comprehensive palette of productivity-enhancing services as well as sustainable transportation solutions that are precisely customised for each type of customer in the highly comp­etitive transportation industry. The promise is that Scania’s customers will always be able to carry out their work in the most sustainable and profitable way, regardless of industry and area of application. “It is undoubtedly the biggest investment in Scania’s 125 year history,” declares Henrik Henriksson, President and CEO of Scania. “It is with hearts bursting with pride that my colleagues and I are now presenting the products and services that will bring Scania to new levels regarding market shares and carry us far into the next decade. Production of the new trucks starts immediately at Scania’s final assembly plant in Södertälje. Initially the focus will be on vehicles and services for long-haul transportation, but additional options will be continually introduced as more Scania plants readjust and additional options emerge. “There is a tremendous amount of development work by our engineers behind this introduction,” emphasises Henrik Henriksson, Scania’s President and CEO. Scania is launching its new range in phases, with a clear focus on various customer segments and according to a carefully planned schedule. The introductions will continue after the first unveiling in Europe, with more customer options, before the entire process concludes with simultaneous launches on markets outside Europe. 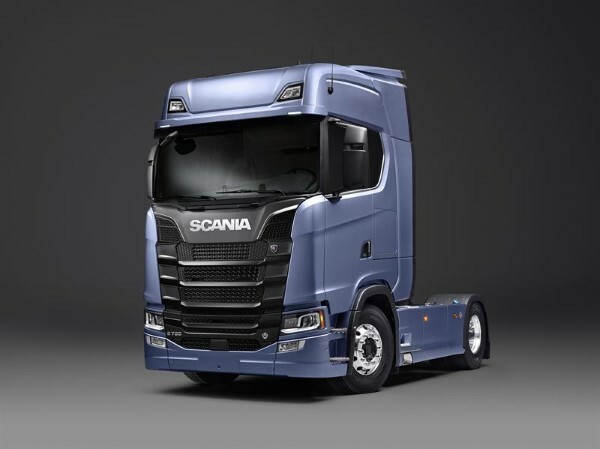 Among the improvements Scania is introducing, one that is particularly noticeable is a 5% reduction in diesel fuel consumption, thanks to factors such as improved powertrains and better aerodynamics. 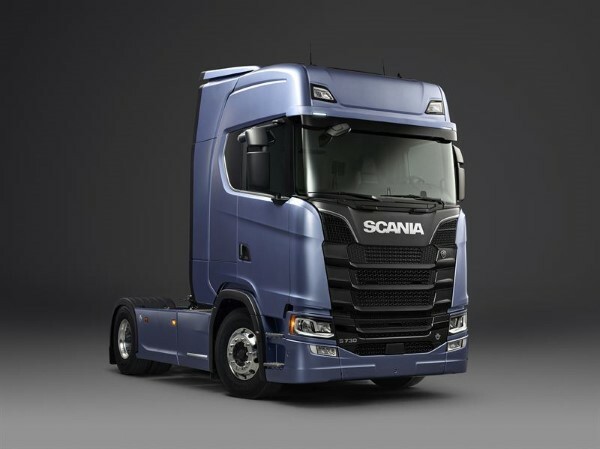 The express goal is for at least 40,000 customers and prospective customers to have test driven the new vehicles themselves in connection with the launches, and to have been introduced to Scania’s entire range, covering everything from sustainability optimisation to financing, insurance and maintenance. Other channels are online communication, the media and Scania’s approximately 1,700 dealers in more than 100 countries. The unveiling was held earlier tonight in Paris, live in front of roughly 1,500 special guests and globally to the online community. Ford and local distributor Sime Darby Auto Connexion (SDAC) today launched the new Transit window van in Malaysia, designed especially for businesses, community organisations and government departments who transport groups of people and are looking for more capability, comfort, efficiency and a comprehensive suite of safety features from a commercial van. With a contemporary and professional design that compliments business usage, the Transit window van is available in Frozen White and priced at RM148,888 on the road without insurance in Peninsular Malaysia and RM151,888 in East Malaysia. 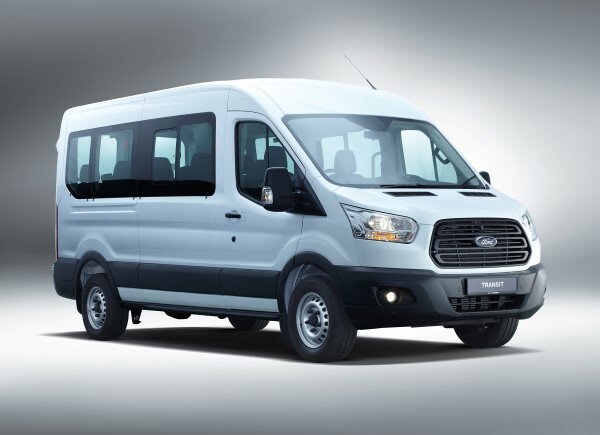 “Transporting passengers safely and securely is the number one mission of any passenger van and Transit offers a suite of advanced safety features in addition to a winning combination of fuel economy, power and capacity,” said David Westerman, managing director, Malaysia and Asia Pacific Emerging Markets, Ford Motor Company. 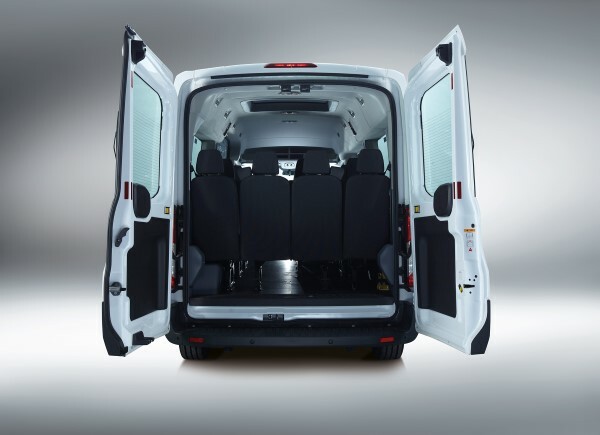 “The new Transit 14-seat van is also now longer, wider, taller and offers a refreshed cabin, giving the driver and passengers alike a more comfortable, car-like experience,” explained Westerman. With its bold new design, car-like interior and outstanding driving dynamics, the Ford Transit window van will strike a chord with a broad range of organisations and small businesses. It is powered by a proven 2.2-litre Duratorq turbo-diesel engine, offering class-leading power of up to 155PS and 385 Nm of torque. Like its other Transit peers, the TDCi engine is mated to a six-speed manual transmission. A comprehensive suite of safety features in the new Ford Transit include the addition of power operated side steps that automatically extends and retracts when the sliding door is opened and closed, 180 degree opening rear barn door with two steps opening of 90 and 180 degrees to ease the access and loading purpose, and a wide array of advanced safety features including Electronic Stability Programme with Fail Boost Support, rollover mitigation, front and rear parking sensors, three-point seat belts for all passengers and second row ISOFIX child seat anchors. 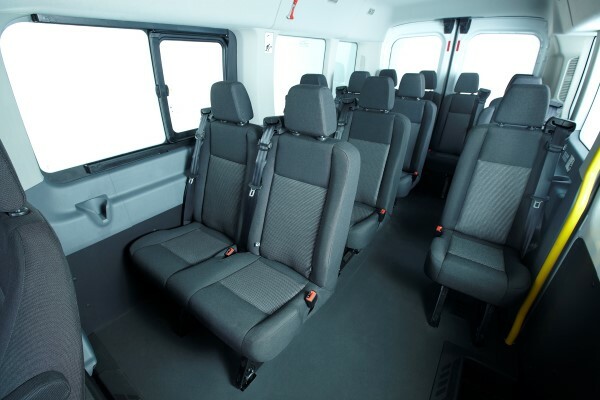 “We are confident that the versatile new 14-seat Transit van will appeal to a range of customers such as schools, community groups, transport operators and government departments, who will value the flexible seating layout, extra space, and added features,” said Syed Ahmad Muzri Syed Faiz, managing director, Sime Darby Auto Connexion. Ford engineers have tuned the vehicle to deliver driving dynamics more usually associated with a small car, with more confident, car-like handling during both urban and highway driving. 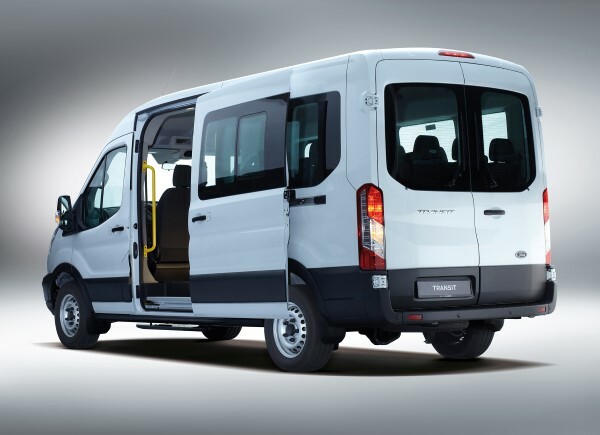 The 14-seat Transit van has a cabin that is both functional and spacious, with good visibility and a more comfortable driving position when compared with the previous model, with a steering column fully-adjustable for rake and reach. The interior is significantly more refined, with reduced noise levels and improved ride comfort for passengers. In addition, it also features a stylish instrument panel, incorporating a range of smart stowage solutions including a large hidden compartment under the dual front passenger seat and door storage pockets that can fit an A4 clipboard and 2-litre drink bottle. 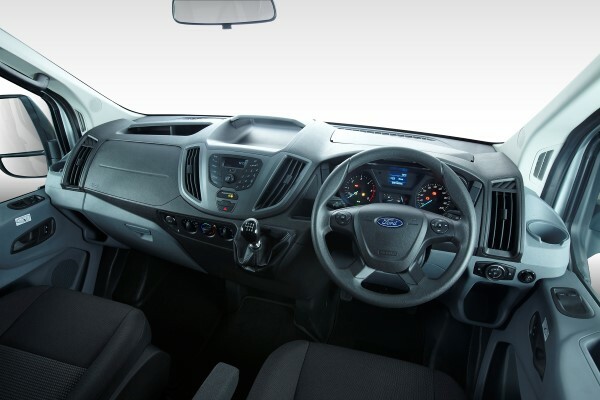 Advanced technologies found in the Transit will give both passengers and drivers extra peace-of-mind. 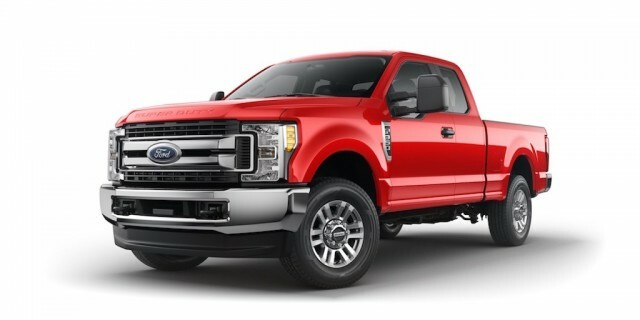 These include rollover mitigation, which allows automatic brake application to selected wheels when sensors detect a risk of the vehicle rolling over, and traction control, which provides maximum traction in all road conditions by directing torque to the wheels with the most grip. The new Transit features a bold new exterior which embodies the same dynamic character as Ford’s kinetic design passenger cars. 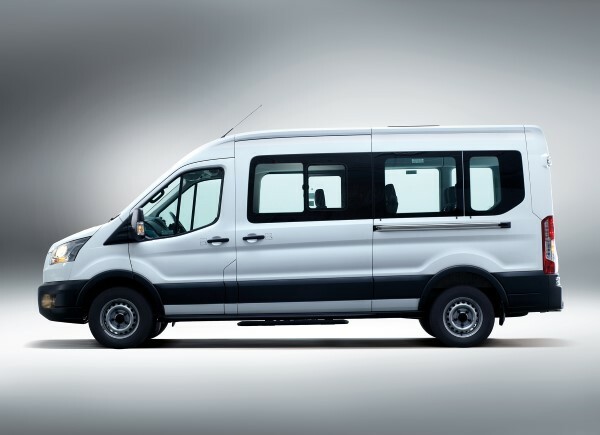 Signature kinetic design features help to give the Transit window van its unique character, including the bold trapezoidal grille, strong and muscular shoulder line and prominent wheel lips. 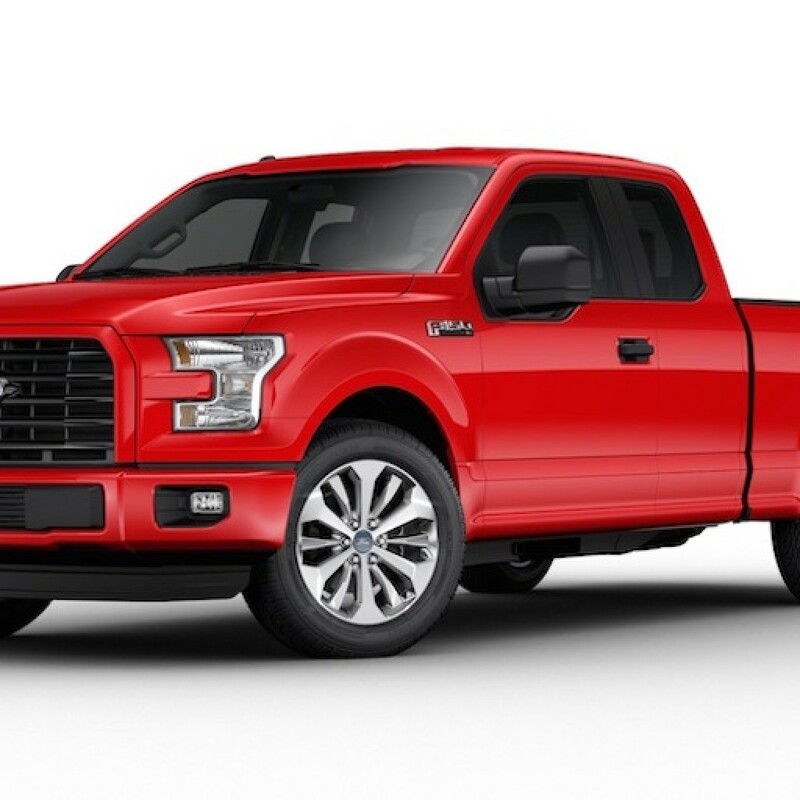 If you need a heavy-duty half-ton 2017 F-150, here is the SuperCab or SuperCrew truck the STX appearance package. 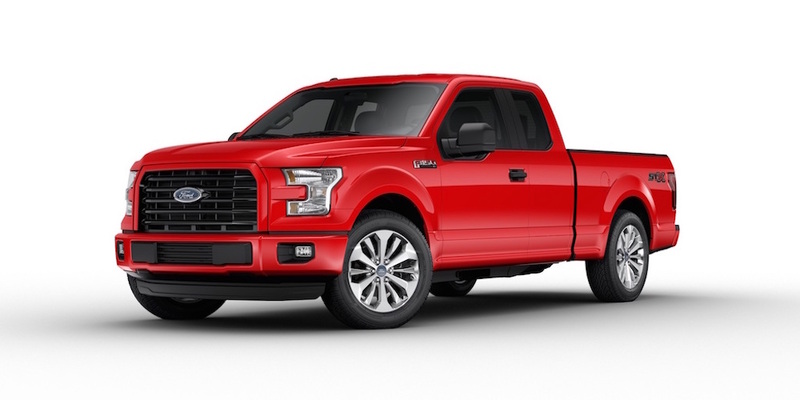 The package for the F-150 includes 20-inch machined-aluminum wheels with dark gray painted pockets, a black billet-style grille with body-color surround and black mesh insert, body-colored front fascia and front and rear bumpers, Ford’s SYNC® 3 with 8-inch center stack touch screen and Apple CarPlay and Android Auto™, privacy glass, black sport cloth seats, fog lamps, driver and passenger lumbar support, and of course… an STX decal.